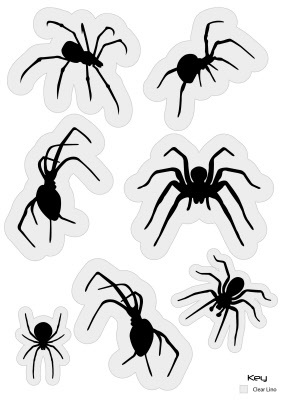 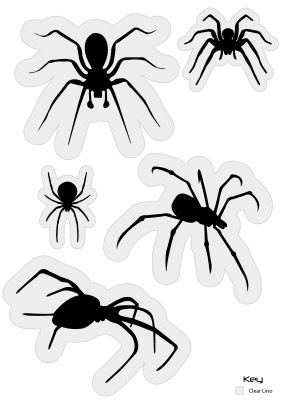 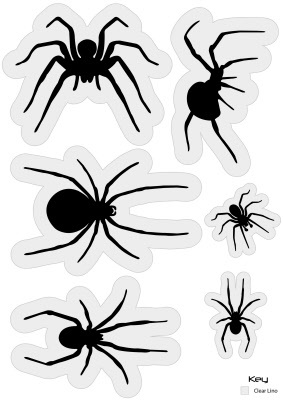 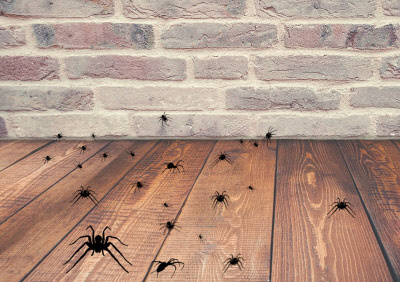 Halloween spiders, 1 pack contains 25 vinyl floor stickers, ideal for shop promotions, events or home decor. 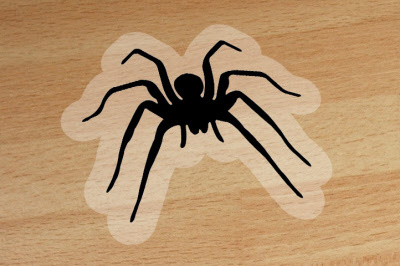 Supplied on four A4 Sheets containing multiple shaped spider stickers (See images). 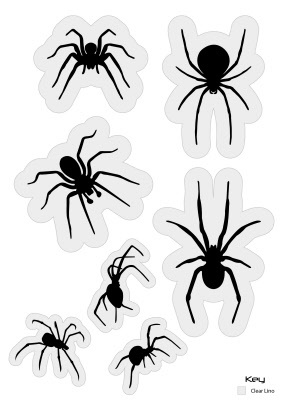 Buy 5 Packs for only £12.51 each!